It was lit beyond lit and so lavish, with many celebrities gracing the event that went down in Victoria Island, Lagos. 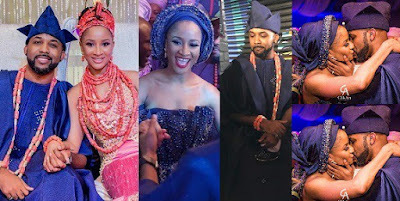 Now, here’s the thing is, last year July, Banky W in a chat with HFTV revealed he felt no undue pressure to be married simply because everyone else is, he also maintained that he would keep the identity of his partner hidden till the wedding day. “Until I walk down the aisle with somebody, I’m never going to talk about somebody that I’ve been with. I don’t think it’s fair to the person because you open that person up. 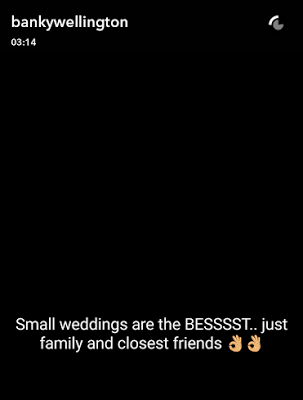 Then in August 2016, Banky W wrote on Snapchat that he’d never have a big wedding, as small weddings are the best.. Instead, he’d just invite his closest friends and family to grace the event. “Small weddings are the bessst. Just family and closest friends.”, he wrote on His snapchat. 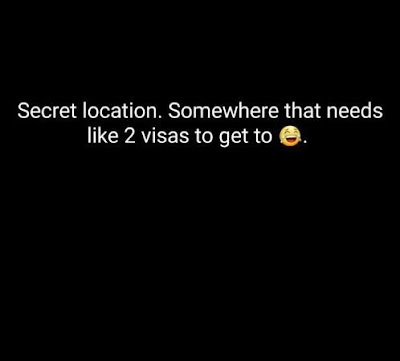 “If/when I DO get married, no way I am doing that huge Lagos wedding move, NEVER…secret location somewhere that needs like 2 visas to get to. 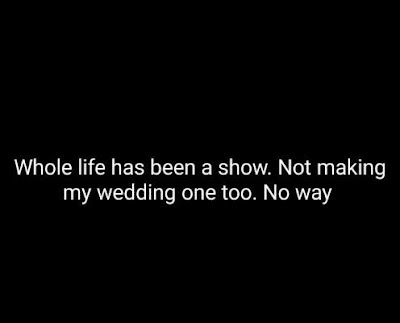 Whole life has been a show, not making my wedding one too, no way!. 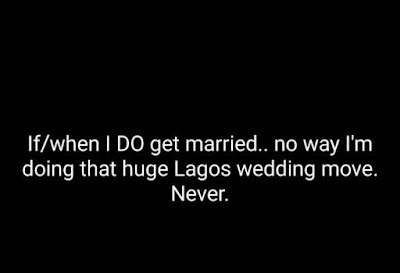 Yall not gonna Naija. 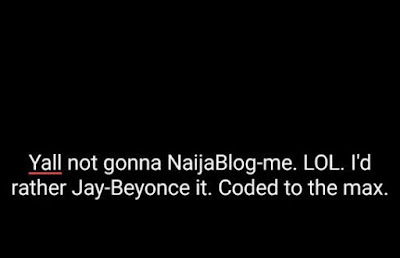 Blog me, LOL..i’d rather Jay-Beyonce it, coded to max—world gonna find out after it’s already said and done”. 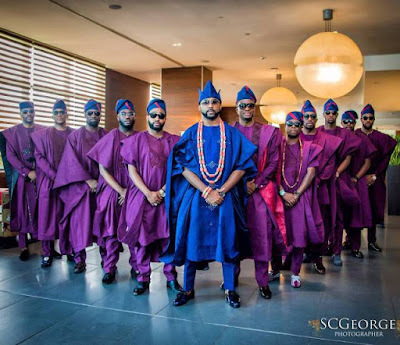 Meanwhile, Just before his wedding yesterday, Banky took to his Instagram page to share few words about his blessings and gratitude for being able to have so much of them all in the first instance, despite being undeserving. A lot can happen in 1 year. Small, coded and secret wedding depends on your partner also. He said he'd hide her identity till he walks down the aisle. I guess that's if he was marrying a non celebrity. Adesua is a celebrity and she can handle the comments.